My ministry and business partner, Carey, responded quickly and specifically when I text her asking what one word I could pray for her during the month of January: Trust. Neither one of us could have guessed all of the ways God would call her (and me) to trust at the start of 2015. Just a few weeks into a new year and changes were quickly brewing. In the midst of questions we entered into February and I text her again. What’s one word I can pray for you this month? The answer came once more: Trust. I prayed that she would continue to trust and I would begin to release and rest. And then, last Friday, our website for With Joy Retreats disappeared. That’s the not-so-technical way of describing the tickets, back up data, hosting, and other jargon I don’t really understand. Our business, which relies on the web for everything- ticket sales, information, registration, contacts – just went away. Even with some amazing help, we still don’t feel any closer to having the problem solved. We are praying a fix comes soon enough. Even as I attempt to look at this logically through the lens of my faith, the questions and doubts keep coming: Ginger, will you release and rest in this? Will you trust that my plans look differently from your plans? Will you believe that I don’t need a website to accomplish my purposes? I was in a bad place on Friday. My heart was racing for long stretches of time and I was close to panic. I had to stop and remember that in the midst of unexpected situations, I have a choice. Will I choose to believe that God cares for the details of my life, OR, will I spiral into worry, anxiety, and panic? 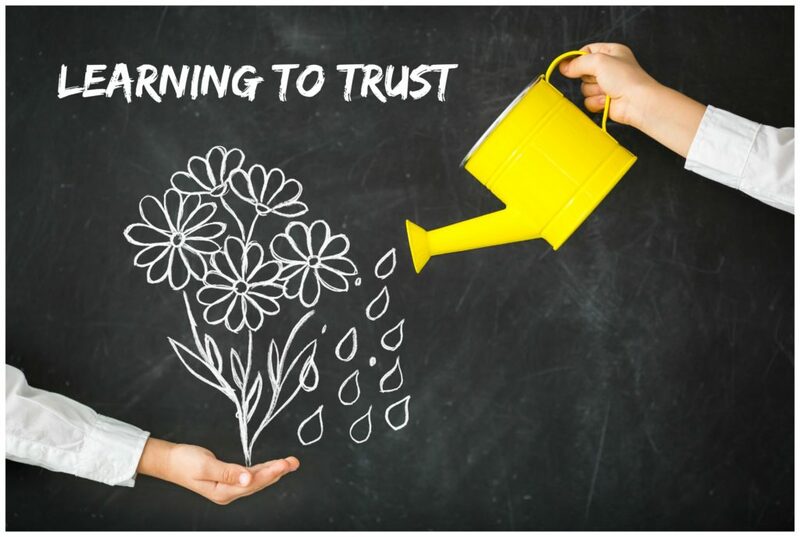 Trust is so much more than hopeful concept. In selecting trust as a prayer for these two months, I’m realizing how much Carey longs to know and live surrendered to God’s will. She is teaching me through every challenge and change that God is always faithful to His promises. If you are one of the many who have attempted to find our With Joy Retreats website this weekend, know that you can contact us at withjoyretreats at gmail dot com and we can answer any questions and even register you individually through e-mail and an invoice. It’s a lot less fancy (and a bit humbling on our end) but we are going to keep rolling and trusting. 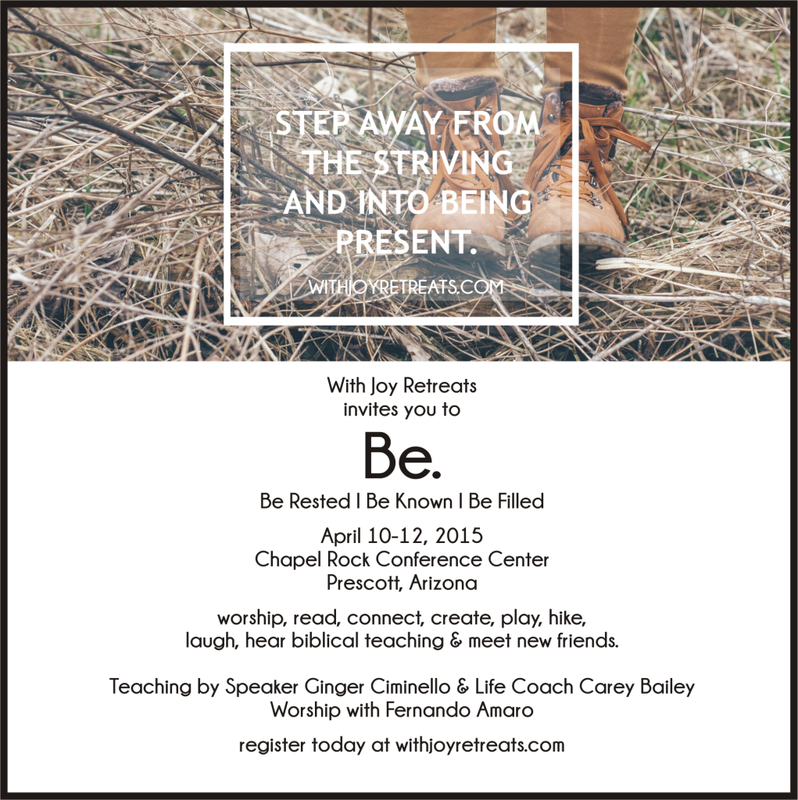 Registration is still open for the 2015 BE Retreat. Spots are limited, and the website is broken – but God is good and we hope you can join us in April to rest and be known.